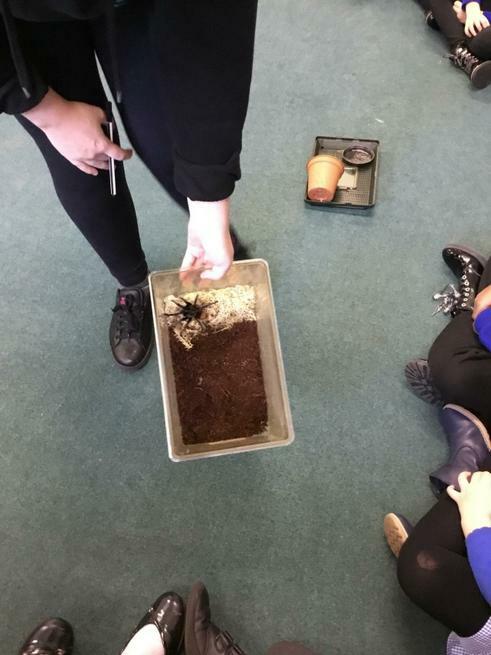 During Science week at Minet, many investigations took place throughout the school. 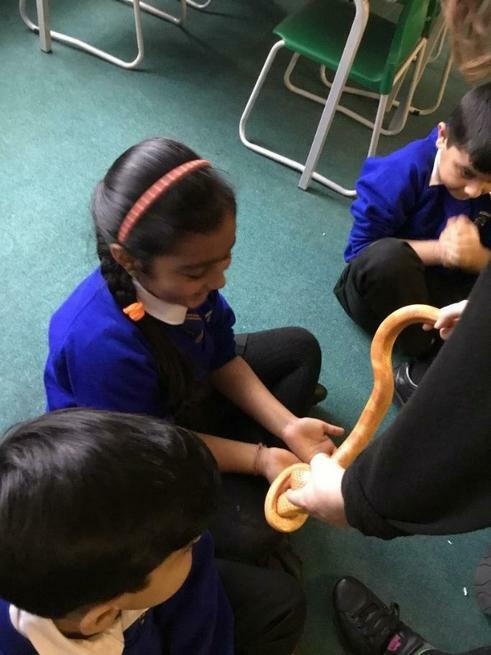 Each year group focused on different working scientifically skills. 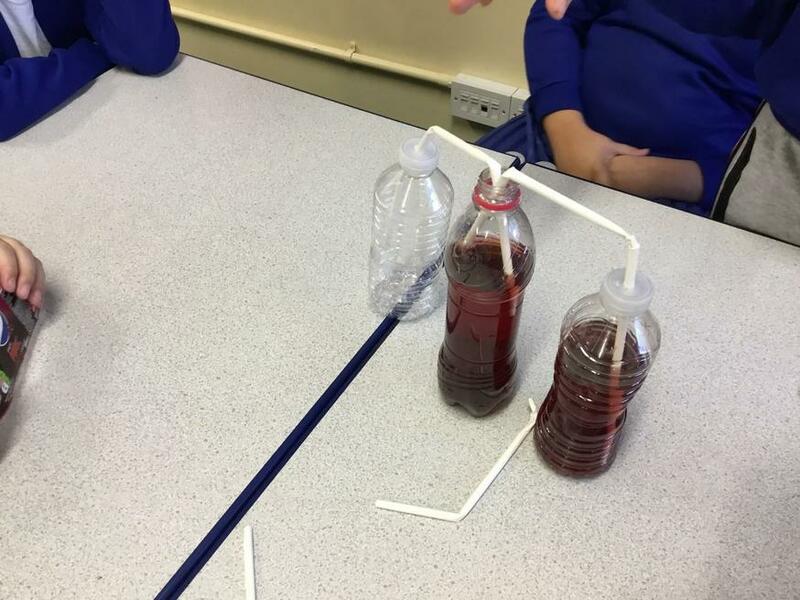 Year 6 made a model of the heart and explored how it worked using bottles, bendy straws, cups of water, food colouring and other materials. They then investigated how to make it pump like a real heart by squeezing the middle bottle and observed the ‘blood’ pump around the body! 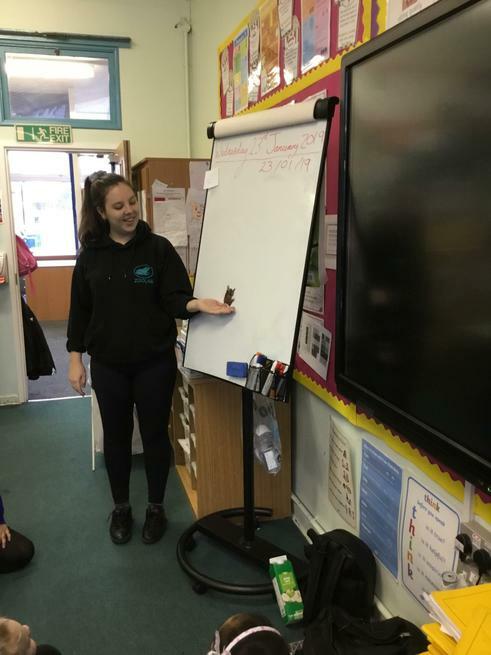 Our Year 6 scientists also explored how a range of variables affects the human pulse rate, measuring their own and concluding their findings in tables and conclusive paragraphs. In this year group, four investigations took place! Each investigating what happens when materials are mixed together and using a special ingredient ‘food colouring’ to observe all these changes! Cornflour slime experiment- what happens when food colouring, water and cornflour are all combined? Fizzy colours-what happens when you mix food colouring, bicarbonate of soda and water together? A chemical reaction takes place here. Why does this happen? Read their work and find out! Paper towels – what happens when you add food colouring, paper towels and water together? Making rainbows! How do we create rainbows? Well, Year 5 used milk, food colouring and washing up liquid. Our ecstatic electricians in year 4 have been busy making circuits and investigating different factors that affect conductivity. 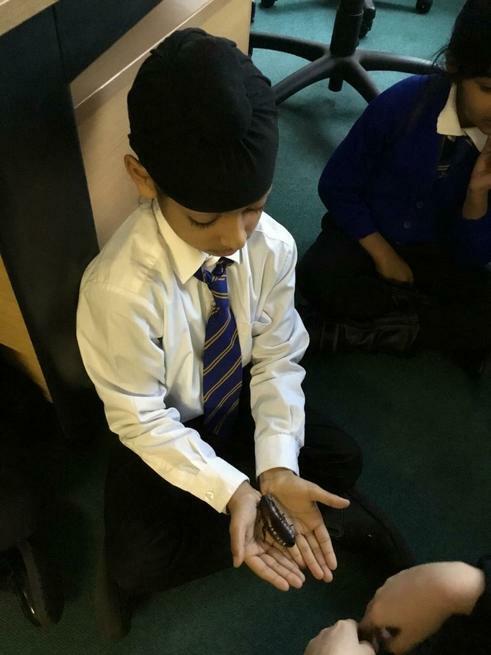 What materials make good conductors of electricity and which are unsuitable? Well our experts will tell you that most metals are good conductors and that some items such as potatoes and lemons make batteries! How is this even possible? A combination of water, acid and sugar within the fruit makes this work! Our electricians also found out what happens if you add more than one bulb in a series circuit. 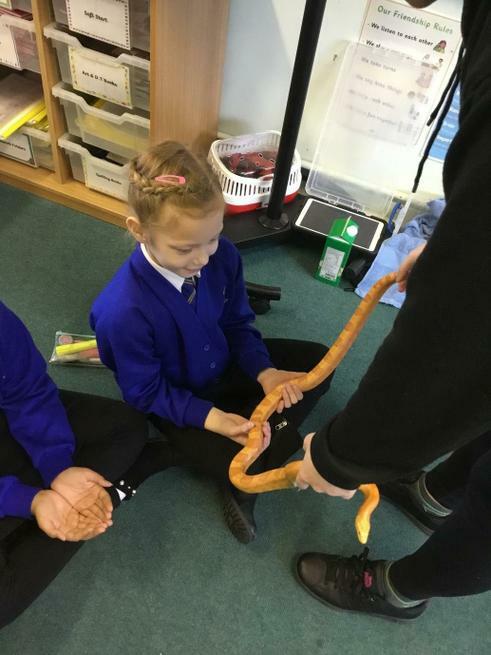 Year 3 were incredibly lucky to have a number of special visitors in school! 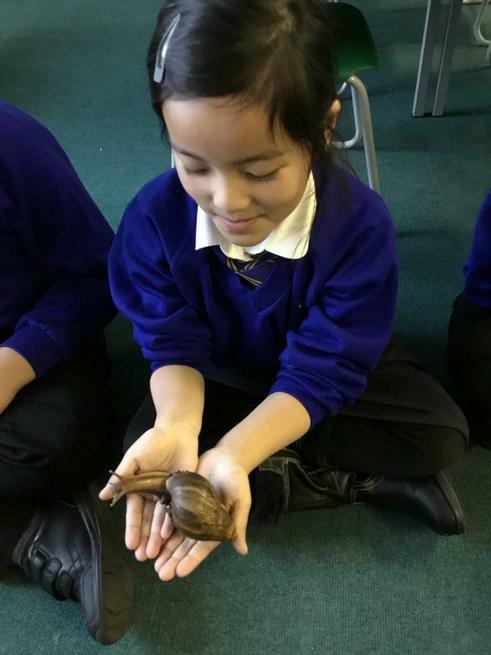 some of these visitors include a snake, tarantula, frog, the African Snail and one more. Use the pictures to find out who the additional guest was. What happens when you take away one of the conditions needed for a plant to grow healthy? The power of forces! How is it possible to make objects move on different surfaces? About fizz bang- what makes a canister pop like a rocket? 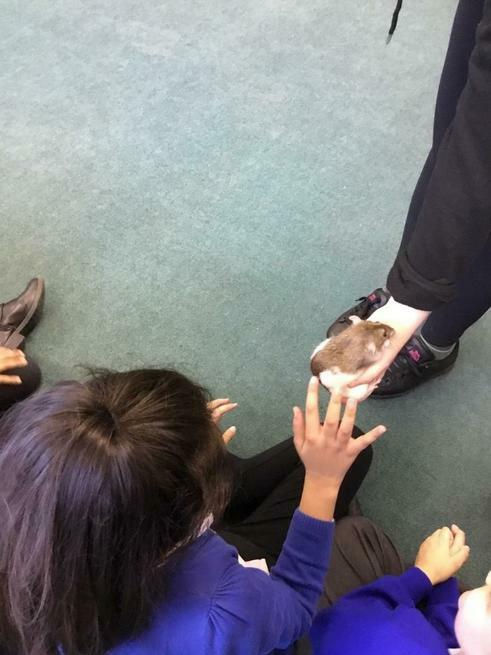 Find out more about the amazing workshops that Year 3 took part in during Science week, on our Year 3 page.